The Samsung SRN-1000 is a 64-Channel NVR allows you to continuously develop your new or existing security system into a scalable solution. The SRN-1000 is capable of recording 100Mbps of video bandwidth, it also supports a wide range of resolutions from VGA to 5 megapixel in H.264, MPEG4 and MJPEG formats. It provides maximum flexibility in storage (48TB) with a built-in 1TB HDD, a max of 8 internal HDDs and support for 2 external storage expansion units (SVS-5E). The Samsung SRN-1000-2TB has many exciting features for users of all types. 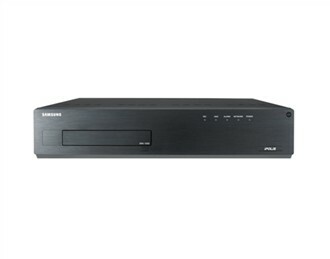 See the Samsung SRN-1000-2TB gallery images above for more product views. The Samsung SRN-1000-2TB is sold as a Brand New Unopened Item.